Here we have Ella, a delightful pink and white chequered pagoda style windproof umbrella. 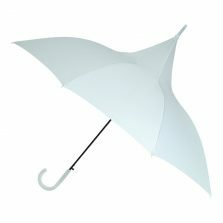 Vented and double-spoked for additional wind resistance. 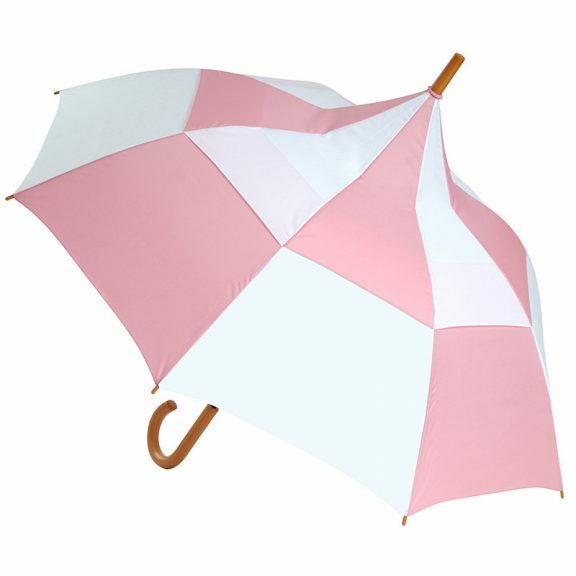 Stand out in the crowd with our distinctive Ella pagoda pink and white pointed umbrella. 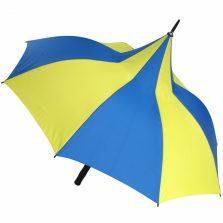 Slightly smaller than our other, blue and white Big Top wind resistant umbrella, this umbrella has a generous canopy width of about 105 cm / 41″ and comes with a push-button auto-open mechanism, light wood wooden crook handle and matching top and spoke tips. So, there you have it, welcome to Ella, she’s one brilliant umberella. 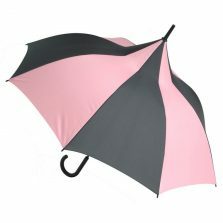 This is not just any umberella, any umberella (as Flanagan & Allen used to sing) to mend today! 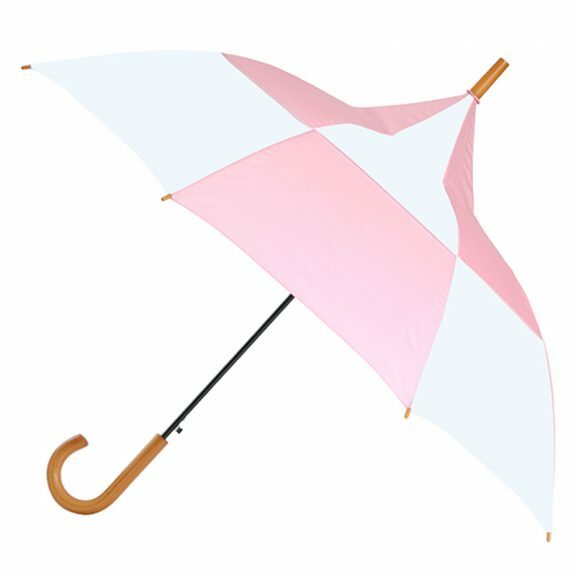 And as Rihanna sings, “you can stand under this umberella, ella, ella…” (Okay, we apologise for all the terrible puns in this description but temptation well and truly got the better of us. See more pagoda umbrellas here! 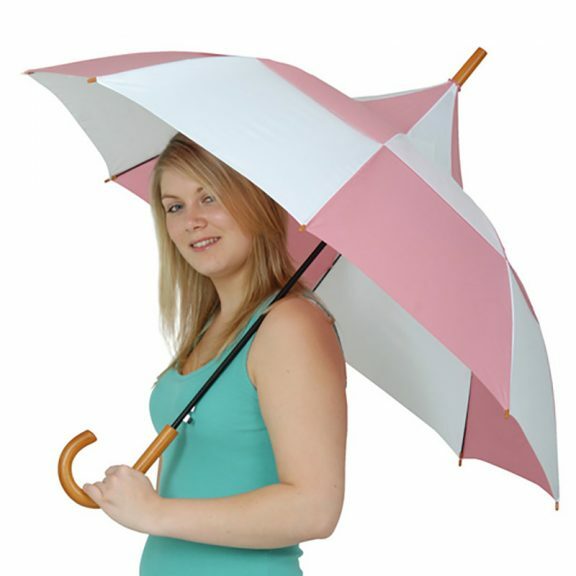 This umbrella is brought to you courtesy of Rob McAlister, Chief Umbrollogist up here at Umbrella Heaven. 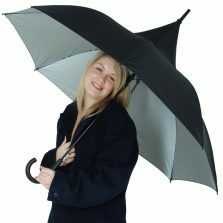 Yes, this is a totally British design bringing together style, practicality and modern windproof technology all in one very smart umbrella. 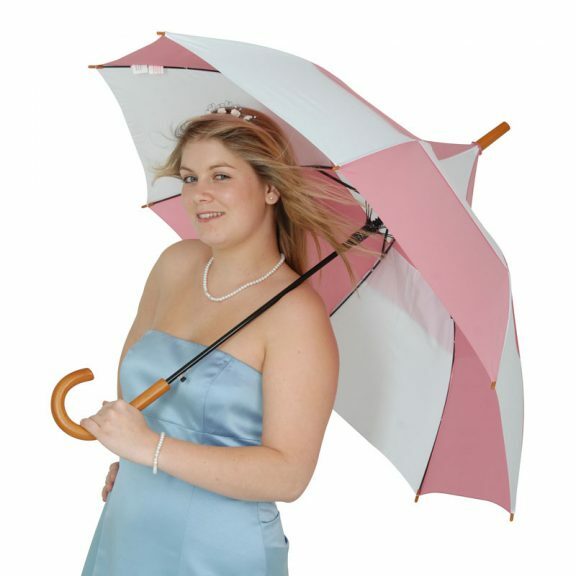 If you want to buy British than check out our Double Dome Technology Windproof Pagoda umbrellas. All designed here in the UK by Rob McAlister.